Making sure your most important sales messages are read and remembered is crucial if your marketing campaigns are going to be successful. So how can you do this? ... Our promotional fortune cookies have your own messages inside & because they are unusual & eye catching you know each one will be opened & read. We offer a fast delivery service - just 2-4 days from order. Although we handle orders for hundreds of thousands of fortune cookies our smallest production quantity is just 300 - so whether you want to communicate to all your customers or just a targeted few we can tailor the promotional fortune cookies to your requirements. As well as printing your own messages inside our personalised fortune cookies we can also print logos, QR codes & images on the message slips and also produce branded wrappers. If you want some inspiration for the message text we have a range of traditional fortune cookie messages as well as inspirational and motivational quotations which you can use and simply put your own text or logo on the back of the slip. 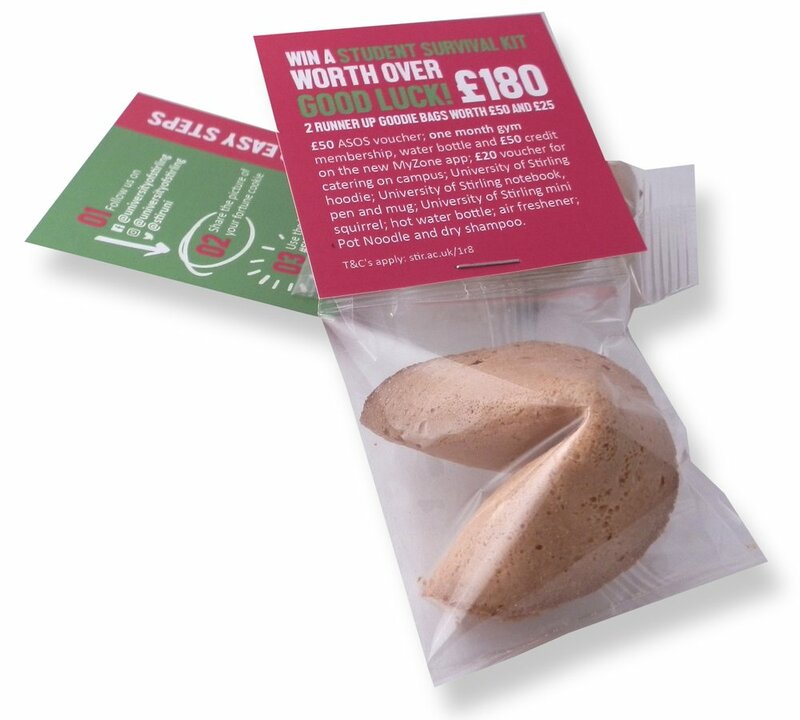 Whatever you decide to do, fortune cookies are the ideal way to create impact with your next promotion, direct mail campaign or marketing event. All you have to do is decide the messages you want to put inside your fortune cookies ... and we will do the rest. If you would like to contact us in the meantime please don't hesitate to drop us an email or call us: 0845 370 7252.